Two weeks ago, a SpaceX rocket inexplicably burst into flames, taking its satellite payload up in smoke. Now the space company has given a date for when we can expect to see its rockets back in the air. Pad 39A is one of SpaceX’s other launchpads at Kennedy Space Center. It is not the same pad as the one in Cape Canaveral that may have been damaged by exploding rocket. Shotwell did not specify which of the company’s rockets will fly in November, however. 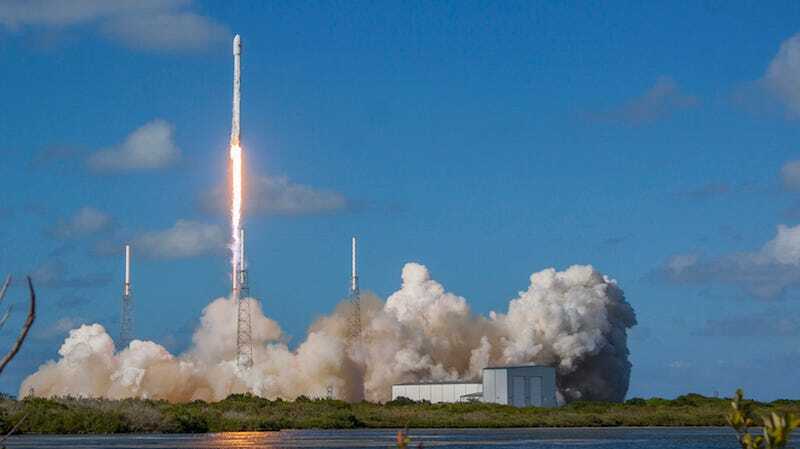 SpaceX had both the first flight of its massive Falcon Heavy and the first re-flight of a Falcon 9 rocket scheduled to go up this fall. Both of those flights were pushed back after the Cape Canaveral incident. The Falcon Heavy test has been tentatively pushed off to next year now. It’s very possible that the company will simply use a new Falcon 9 for its first flight back—especially if it ends up altering the rocket’s design at all after the investigation of the fire. But there is a chance that we could still see the first re-flight of a used Falcon 9 before the end of the year.